"Stay Away" is motion-triggered and expels air from a can. Use in smaller confined areas, or to guard a sliding glass door or window. Turn it off if your own cat goes outside, so he doesn’t trigger it himself. "Scarecrow" is a motion-sensing water sprinkler that the manufacturer claims will spritz invaders up to 1200 square feet, day and night. 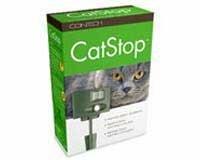 "CatStop" is a motion-activated ultra-sonic sound that monitors up to 220 square feet. It emits bursts of ultrasonic sound waves that only an animal can hear. 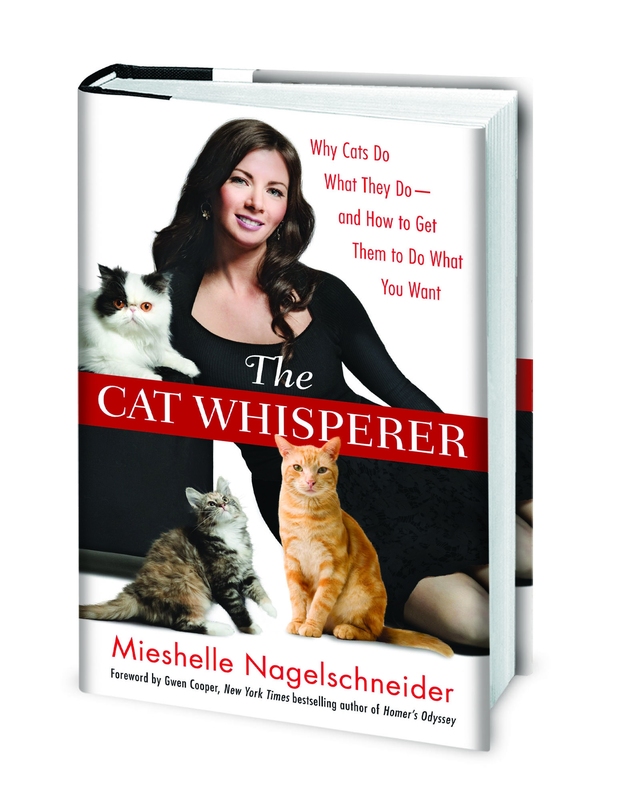 The sound startles cats and teaches them to stay away. Do these work? Actually, yes, as unlikely as that may sound. Cats are looking for a low-maintenance yard to prowl in. A hint of unpleasantness in your yard, and they’re off to visit the Joneses. Side benefit: reducing redirected aggression problems among your cats.